“One of the first lessons of cryptography is “don’t roll your own crypto” but we were bold enough to ignore it”, says Nicolai. “Single Sign-On is so 2016 which is why we’d like to introduce its replacement, Forever Alone Sign-On – FASO. This talk will discuss one of the ugliest SSO solutions you’ll ever see, its updated, slightly less ugly, iteration, and, ultimately, FASO. We’ll discuss the use cases, questionable decisions made during the planning process, the actual self-rolled, totally vulnerable, cryptography, and the even worse code architecture. 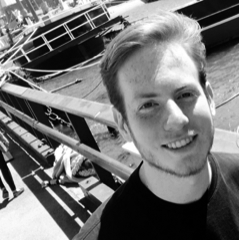 Nicolai is a security researcher at zyantific and a graduate student at Ruhr University Bochum where he’s also an avid member of the FluxFingers CTF team. He likes burgers, buffer overflows and bad crypto. This entry was posted on November 15, 2017 at 15:15. You can follow any responses to this entry through the RSS 2.0 feed. Both comments and pings are currently closed.